Parmesan | Time to Cook! Wondering what to do with Swiss chard? It’s one of the healthiest vegetables out there and bountiful at the grocery store and at farmers markets almost year-round. I’m always looking for new, simple recipes that use this superfood. 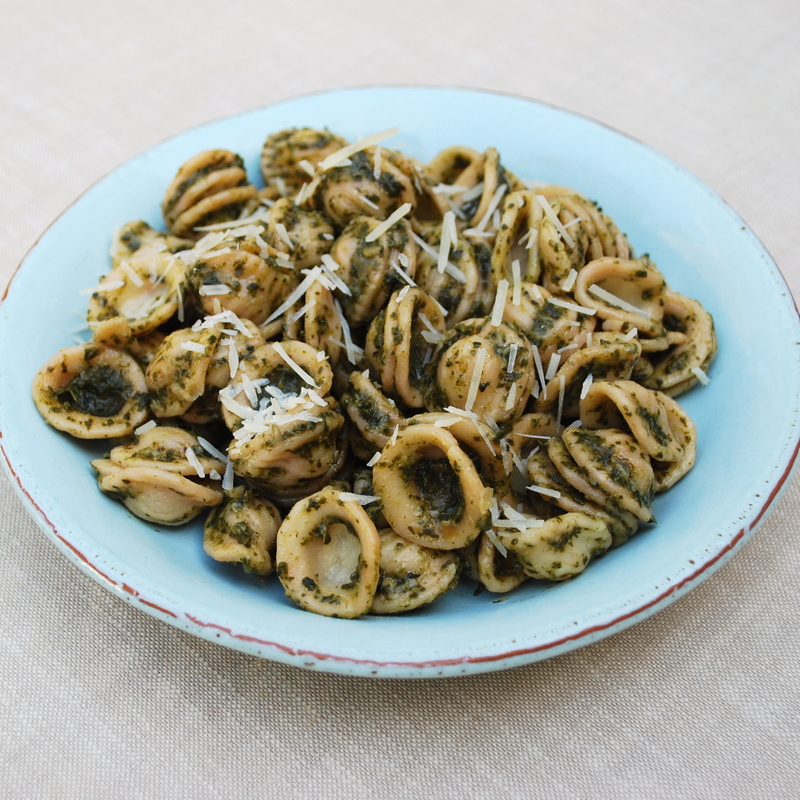 This one is wonderful – it’s basically a Swiss chard pesto that would be great on orecchiette or penne pasta. If you double the recipe, the pesto would freeze well for future dinners. Enjoy! 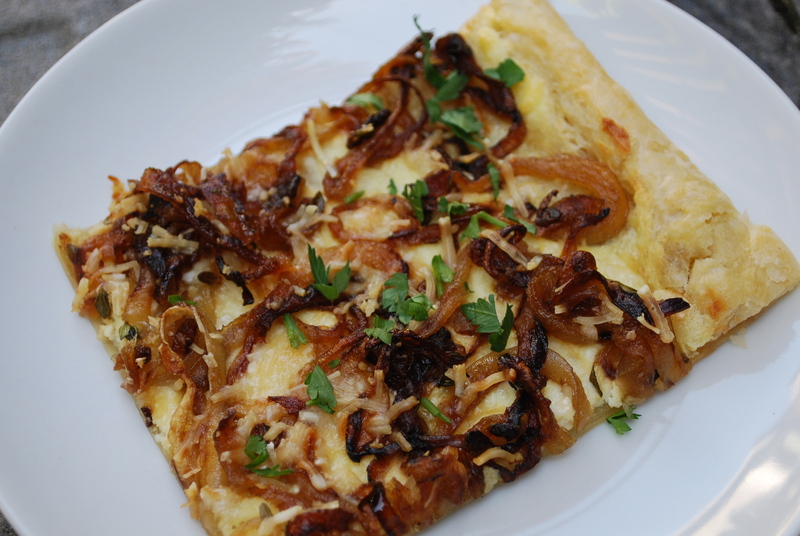 Recipe from Mario Batali; featured on the Today Show. Combine the oil, onion, garlic, and chard in a large pot and cook over medium-high heat, stirring occasionally, until the onion and chard are beginning to soften, about 5 minutes. Season well with Maldon salt, add 1/4 cup water, cover, reduce the heat to low, and cook, stirring occasionally, until the chard is very tender, about 20 minutes. Season with pepper and remove from the heat. Place ingredients into food processor and finely chop. Set aside in large bowl. Bring 6 quarts of water to a boil in a large pot and add 3 tablespoons kosher salt. Drop in the pasta and cook until just al dente. Drain the pasta, reserving about 1/2 cup of the pasta water. Add the pasta and 1/4 cup of the reserved pasta water to the chard ragu and stir and toss over medium heat until the pasta is well coated (add a splash or two more of the reserved pasta water if necessary to loosen the sauce). Stir in the cheese. Transfer the pasta to a serving bowl and serve with additional grated Parmigiano on the side. Pre-heat oven to 425°. Cut 1 head cauliflower into florets; toss on a large rimmed baking sheet with 1 sliced medium onion, 4 thyme sprigs, 4 unpeeled garlic cloves, and 3 tablespoons olive oil; season with kosher salt and freshly ground black pepper. Roast, tossing occasionally, until almost tender, 35-40 minutes. 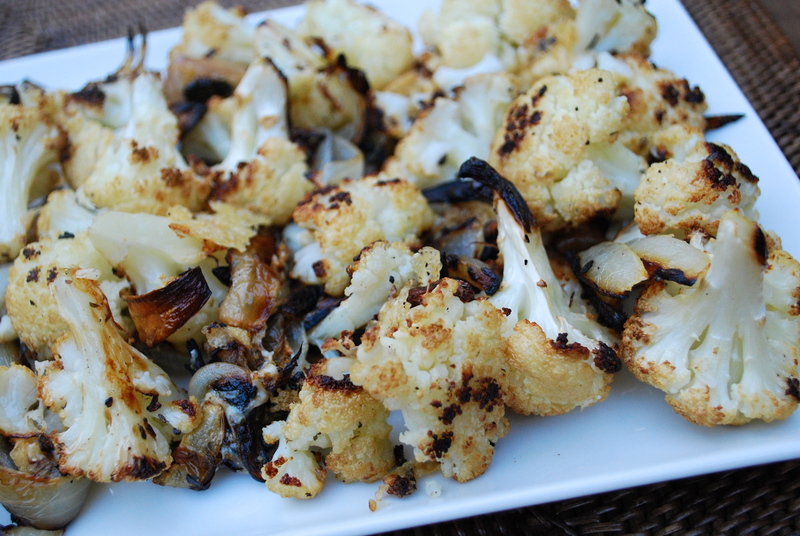 Sprinkle with 1/2 cup grated Parmesan, toss to combine, and roast until cauliflower is tender, 10-12 minutes longer. I know this dish might sound a little strange, but we LOVE it. It has the most delicious taste and it’s not hard to make. I could eat this once every two weeks! 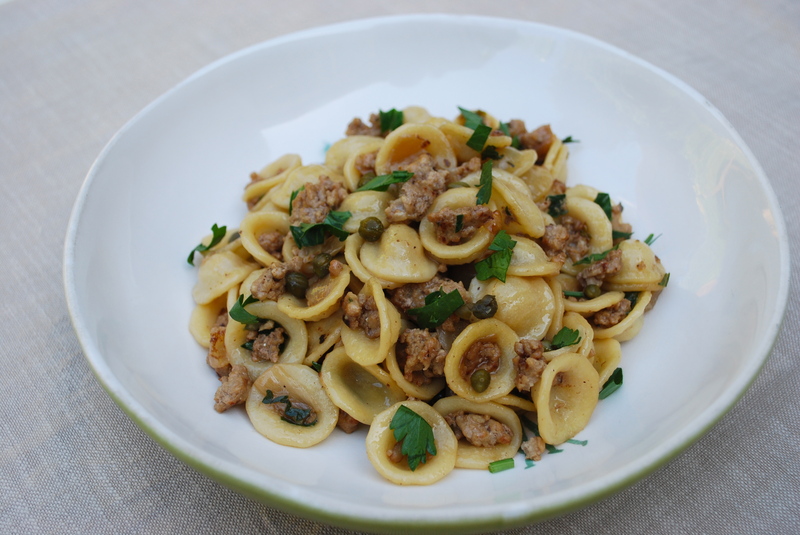 Two quick notes: 1) I add a bit more capers than the recipe calls for below and 2) If I ever have leftover white wine that would go to waste, I freeze it in little baggies for cooking. This way, if a recipe calls for just 1/2 cup of white wine, I don’t need to open a new bottle just for this (although, that would be a good excuse!) Hope you like this dish as much as we do! Recipe from Food and Wine (contributed by Grace Parisi). In a large, deep skillet, heat the olive oil. Add the chopped onion and minced garlic and cook over moderately high heat, stirring frequently, until softened, about 5 minutes. Add the veal, season with salt and pepper and raise the heat to high. Cook, stirring occasionally, until the veal is no longer pink and any liquid has evaporated, about 8 minutes. Add the white wine to the skillet and boil over high heat until nearly evaporated, about 5 minutes. Add the chicken stock, thyme, rosemary and capers and simmer over moderate heat until the liquid is reduced by half, about 10 minutes. Meanwhile, cook the orecchiette in a large pot of boiling salted water until al dente. Drain the pasta well and add it to the skillet along with the Parmigiano-Reggiano cheese, chopped parsley and butter. Cook over moderate heat, stirring frequently, until the sauce is thick and creamy, 1 to 2 minutes. Transfer to bowls and serve right away. MAKE AHEAD The veal sauce can be covered and refrigerated overnight. Rewarm the veal sauce before serving.